If your property in West Babylon, New York area, is damaged by fire, water, or mold, or you need a reliable, affordable restoration and cleaning company that can be onsite within hours – call RestorationMaster at 631-206-6808. 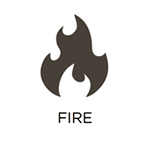 We can take care of any fire or smoke damage in your home or property. Quick response to fire damage will minimize further destruction to your home and belongings. We can quickly respond to your call to ensure the cleanup process starts immediately. By acting quickly, our team of experts will ensure smoke and soot is cleaned quickly and properly to not damage your personal items further. 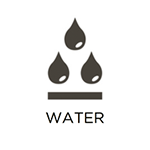 We are experts in the water restoration and mitigation process. Our technicians are IICRC Certified and adhere to all procedures and protocols while cleaning and restoring. We are available to help whenever wherever your property is in trouble. RestorationMaster is a leading provider of flood damage restoration services in the West Babylon, NY, area. This is in large part thanks to the tremendous training and expertise of our disaster restoration technicians. When large amounts of water penetrate your property, regardless of the cause, we can respond within hours to stop the influx, repair the damage, and eliminate any harmful byproducts that came about during the event. It does not matter if the flooding was caused by a severe storm, major leak, burst pipe, sewage backup, or similar circumstance. We will return your property back to its original condition. 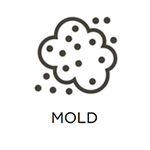 Our technicians have over 20 years of experience remediating mold from properties. We will work closely with you and an indoor environmental hygienist to return your structure to a safe and healthy environment as quickly and efficiently as possible. We can provide free estimates when dealing with mold in your home. Our carpet cleaning professionals know that regularly scheduled carpet cleanings are important for the look of your home. We are fully and continuously trained in the methods and procedures of today’s new fibers and fabrics. 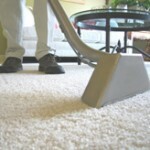 We use the newest and best carpet cleaning equipment in the industry.